Tweet Tweet Two complete, a photo by capitolaquilter on Flickr. 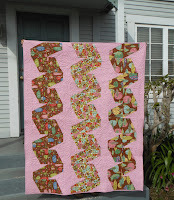 Just in time for the April link up party for ALYoF (a lovely year of finishes)You can see my goal post here. I was pretty confident this one would be done since I had already committed to doing so for the 31 quilts in 31 days charity drive and yet it's still a relief. It is also the first of 8 in my 2013 FAL Q2 mosaic. 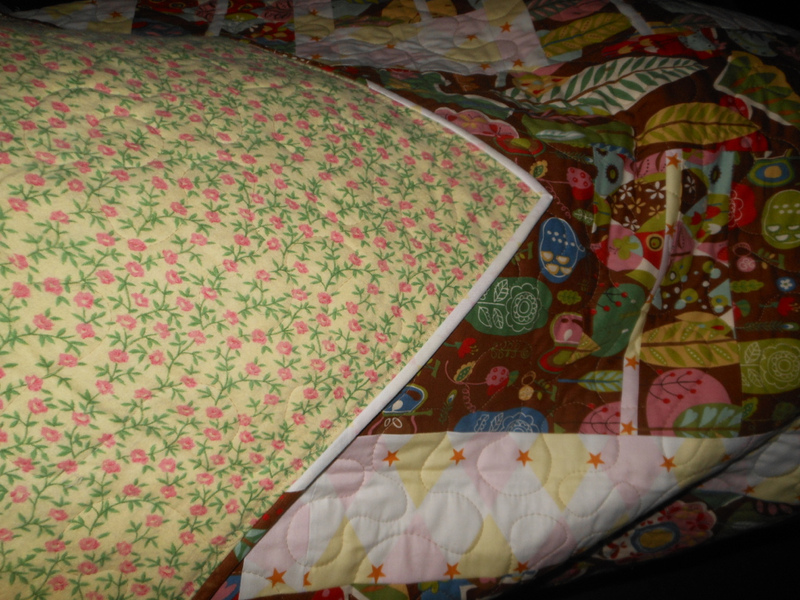 In the spirit of trying new things, I attached the binding on by machine for the first time on 3 of the 4 quilts that I'm donating. One binding was precut at 2.25 and I really need that full 2.5 cut to make it work otherwise I would have gone for all four. As much as I enjoy stitching down by hand I'd rather have the process more efficient and be able to donate more. For this one the bobbin thread was yellow and the top a light brown. It was a bonus that the flannel helps hide the stitch on the back because of the texture. Tweet Tweet Two: first of 2013 FAL Q2 only 7 more to go. 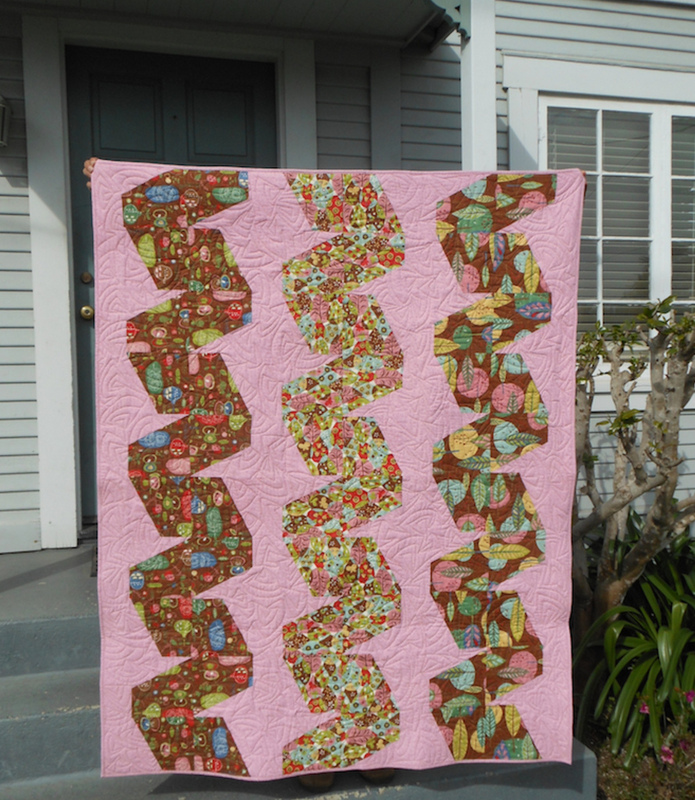 In case you missed Tweet Tweet Two's sister quilt, here's the predecessor Tweet Tweet Twist a charity quilt from last month. I like it! 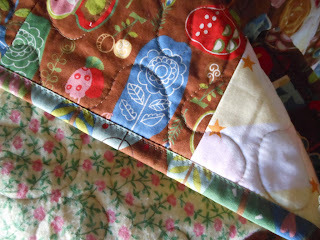 So funky and I agree completely about 2.5" for machine binding and so you can make more. My guild is making nap mats and I am trying to kick a bunch out. Uh-mazing! :D Your binding looks so pro! I may just have to give this a try. HRM. Looks great! I too have been sewing my bindings down, I love how much faster it is!